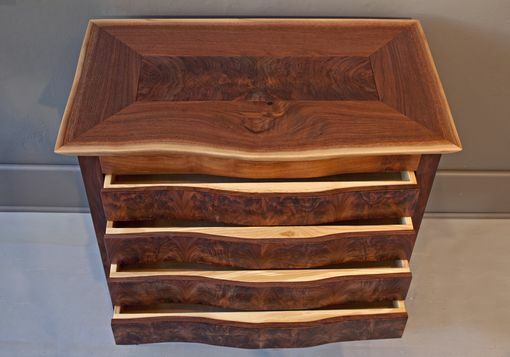 This chest has a live edge, mitered black walnut top over a claro walnut case. 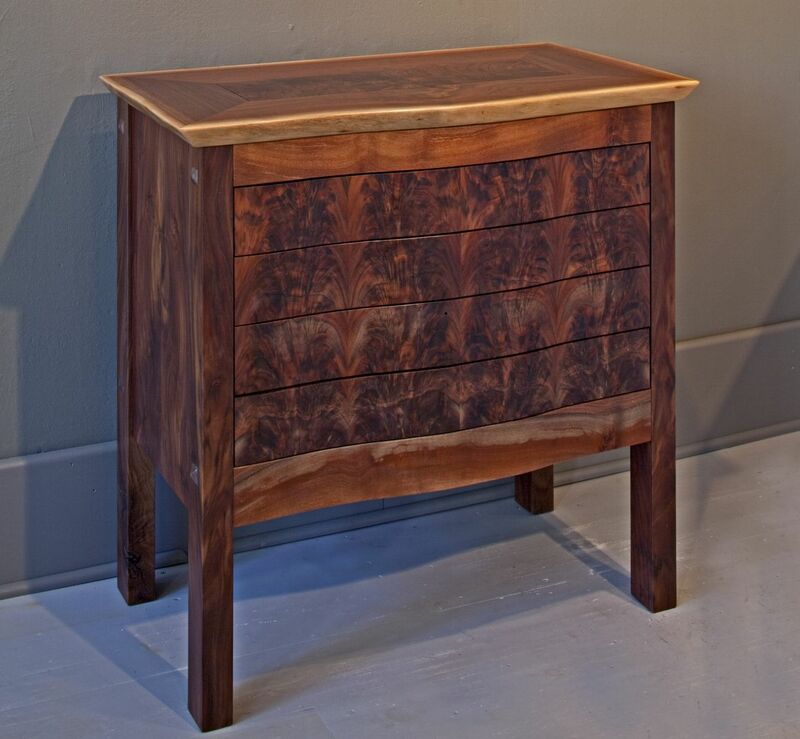 The inspiration for this piece comes from Biedermeir style as well as George Nakashima. The line of the top dictates trhe serpentine line of the front. 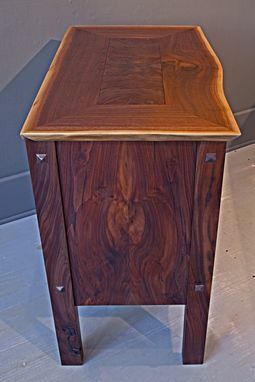 The drawers are veneered with book matched, figured claro walnut, and they slide on under mount, touch opening slides. 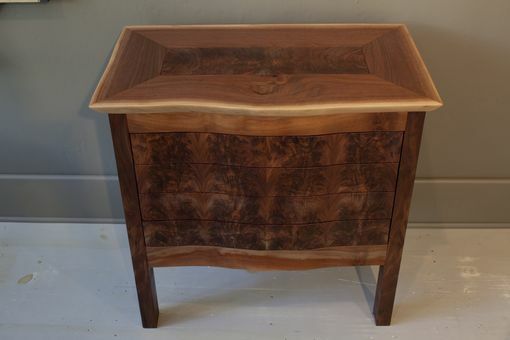 The sides and legs are solid claro, with the sides also book matched. This piece would work well as a dining room sideboard, an entry cabinet, or as a way to house and display collectibles. Dimensions: 36"w. by 30"h. by 20" d.